SACRAMENTO, Calif. /California Newswire/ — Today, Calif. 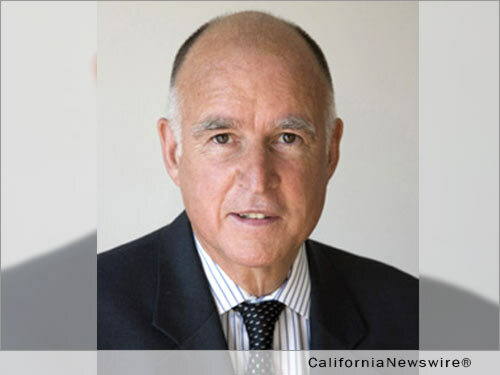 Governor Edmund G. Brown Jr. signed a package of bills to enhance housing, school, workplace and civil protections for California’s immigrants. “This action protects public safety and ensures hard-working people who contribute to our state are respected,” said Governor Brown. –	AB 21 by Assemblymember Ash Kalra (D-San Jose) – Public postsecondary education: Access to Higher Education for Every Student. –	AB 291 by Assemblymember David Chiu (D-San Francisco) – Housing: immigration. –	AB 299 by Assemblymember Ian C. Calderon (D-Whittier) – Hiring of real property: immigration or citizenship status. –	AB 343 by Assemblymember Kevin McCarty (D-Sacramento) – Public postsecondary education: holders of certain special immigrant visas. –	AB 450 by Assemblymember David Chiu (D-San Francisco) – Employment regulation: immigration worksite enforcement actions. –	AB 699 by Assemblymember Patrick O’Donnell (D-Long Beach) – Educational equity: immigration and citizenship status. –	SB 29 by Senator Ricardo Lara (D-Bell Gardens) – Law enforcement: immigration. –	SB 54 by Senator Kevin de Leon (D-Los Angeles) – Law enforcement: sharing data. A signing message can be found here. –	SB 68 by Senator Ricardo Lara (D-Bell Gardens) – Public postsecondary education: exemption from nonresident tuition. –	SB 156 by Senator Joel Anderson (R-Alpine) – Military and veterans: transition assistance: citizenship. –	SB 257 by Senator Ricardo Lara (D-Bell Gardens) – School admissions: pupil residency: pupils of departed parents: residents of adjoining state or foreign country: school district reimbursement. Today’s signings follow a series of actions by Governor Brown and his administration to bolster resources and support for the immigrant community. Since taking office, Governor Brown has signed the California Dream Act, which allows top students who are on the path to citizenship to apply for college financial aid and AB 60, which extends the legal right to drive on the state’s roadways to millions more Californians. The Governor has also signed legislation to help fund legal services for unaccompanied minors arriving in California from Central America as well as legal services to assist immigrants seeking naturalization and deportation defense; legislation to extend health care coverage and other protections to undocumented children in the state; and a number of other bills to enhance protections for immigrants. Last year, the Governor appointed a director of immigrant integration to serve as the statewide lead for coordinating immigrant services and monitoring the implementation of immigration assistance programs. Last month, Governor Brown signed legislation to provide $30 million in financial aid for immigrant students and legal services for young people with Deferred Action for Childhood Arrivals (DACA) status and the administration launched the California Immigrant Guide website to help connect immigrants with resources and services provided by the state.